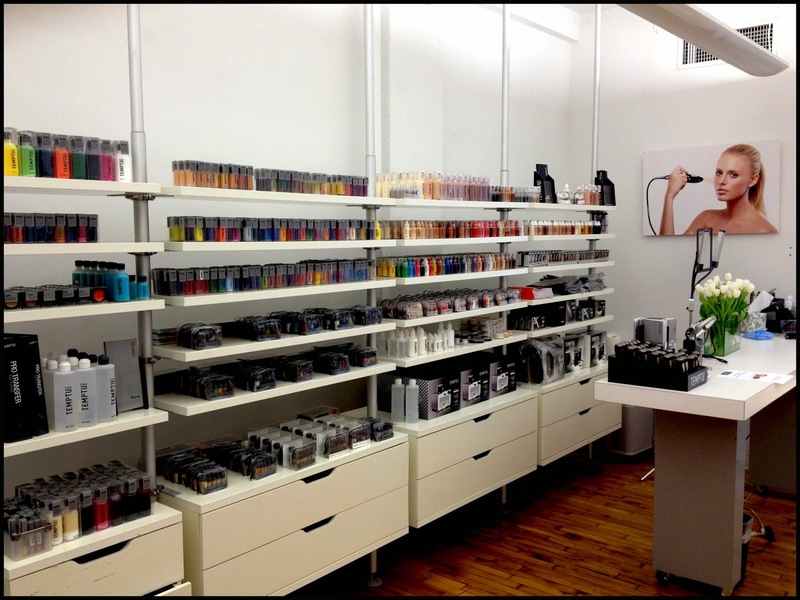 The Airbrush Makeup Guru: A visit to the TEMPTU PRO Showroom New York: airbrush makeup heaven! 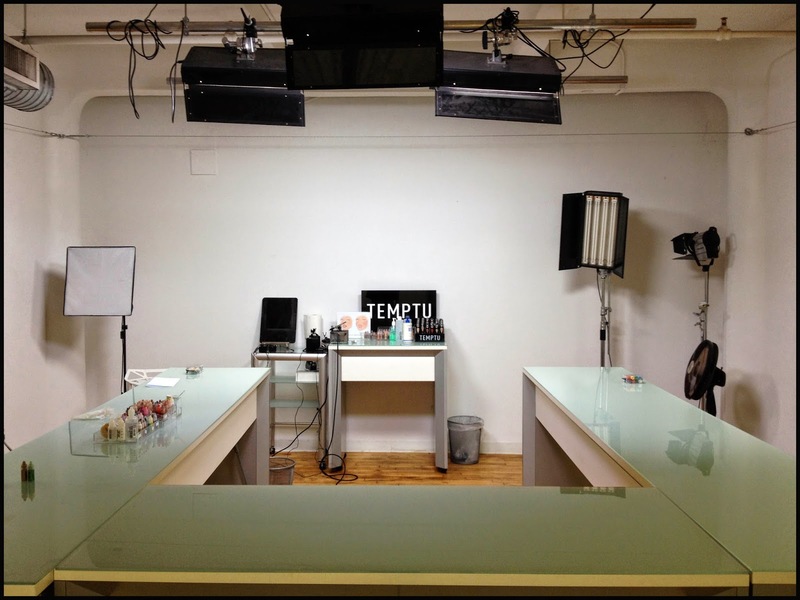 A visit to the TEMPTU PRO Showroom New York: airbrush makeup heaven! You simply cannot talk about airbrush makeup without mentioning Temptu. 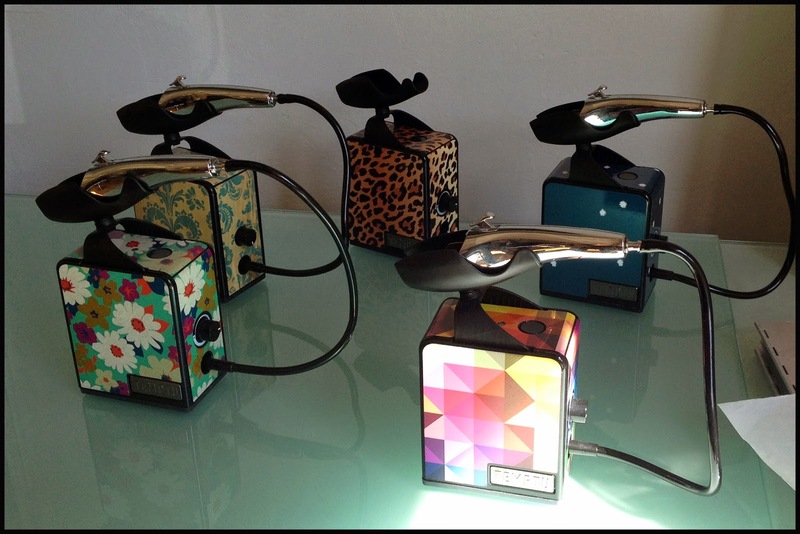 This brand has been at the forefront of airbrush innovation since it created its first airbrushable colours for temporary tattoos in 1981. 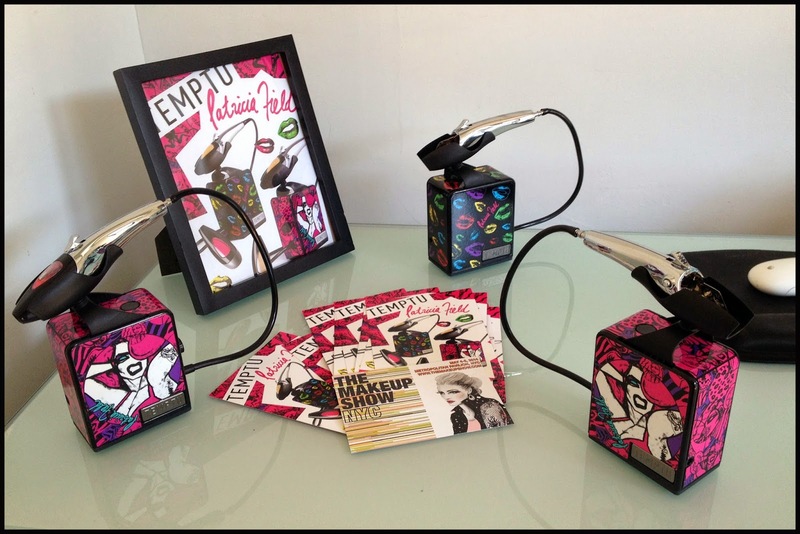 Today Temptu is simply the most recognized airbrush makeup brand worldwide, with a superstar silicone based line, an incredibly wide range of alcohol based colours for body art and special effects, and a water based line. Temptu also offers some of the best equipment in the market, which is constantly updated to offer the best and most cost effective options available. Just over a week ago, during our visit to New York City, we went to visit Temptu East Coast headquarters, the show room at 26 W. 17th St. in the Flat Iron district. The show room is located on the third floor of an elegant commercial building, so we knew not to expect a flashy store front, and yet as soon as the door opened, "airbrush makeup heaven" was the first definition that popped into our minds. Other airbrush companies we have visited (and we have visited a few) have retained a quaint, family business outlook. Not Temptu. Here everything is designed to match the image of the dynamic company to perfection: modern, spacious, streamlined and high-tech.We were welcomed by a lovely receptionist, and our attention bounced quickly from her smile to the wall of products displayed next to her. It was so great to see the complete line in one single place. The newest version of their 2.0 kit was displayed in a range of vibrant colours on a fixture on the opposite wall. This kit comes with the popular Pod system, or in the new "starter" version with the newly released SP-40 airbrush, which can also be attached to any pre exixting compressors in the line, creating what we have long considered to be the ideal kit combination. Temptu new 2.0 kit in vibrant colour. Senior marketing manager Hallie Feigenbaum came in shortly after and very kindly gave us tour of the premises. There are other meeting rooms in which special editions of the compressors are displayed for décor, and ample offices where the creative minds of the company are busy at work. The Makeup Show was just a couple of days away so the team was busy organizing the many events related to this important trade show of which the brand was one of the main sponsors this year. In spite of their busy schedule, the guys in the team were very nice to us, and we got to take a sneek peak into some new products that they are about to reveal to the press. We are sworn to secrecy as to what they are, but we can tell you that they will surprise you and that they are of exceptional quality. We thanked the guys and move to the training room, fully equipped with professional lights, where lessons and seminars take place. This is another great feature at Temptu that should not be taken for granted: anyone who buys a kit from them can participate in a free introductory class that will show them how to use it. 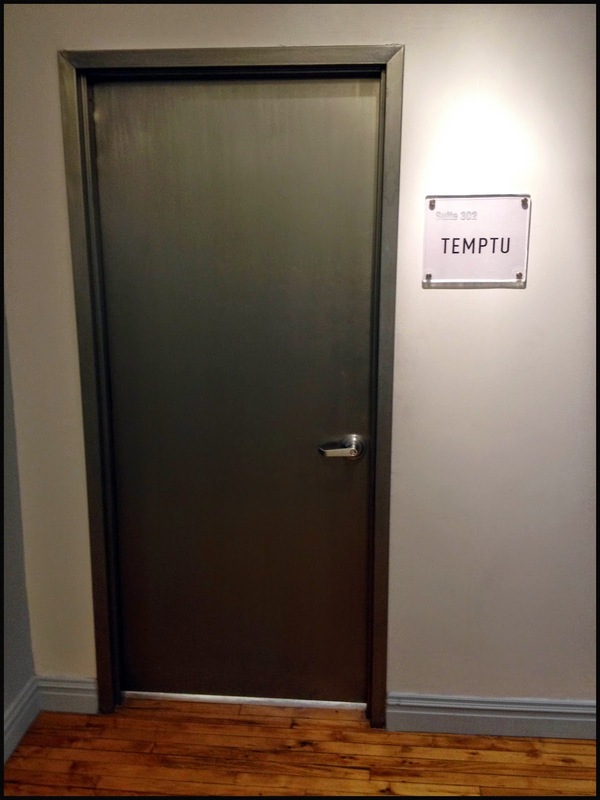 There is another Temptu showroom in Los Angeles, and perhaps we will be lucky enough to visit there also. For now, we couldn't have enjoyed our visit more, and we could not thank Hallie enough for making us feel so welcome. In the next few weeks we will publish much more on Temptu. An in depth review of their new starter system is in the works, and a video tutorial featuring their latest colour collection is also planned, so as always... stay tuned! 1981: Dr. Samuel Zuckerman invents the TEMPTU DURA formula and tattoo ink transfer system for the cult classic film, Tattoo. 1990: TEMPTU’s ink transfer system becomes the gold standard in Temporary Body Art, appearing on Johnny Depp in the John Waters classic Cry-Baby. 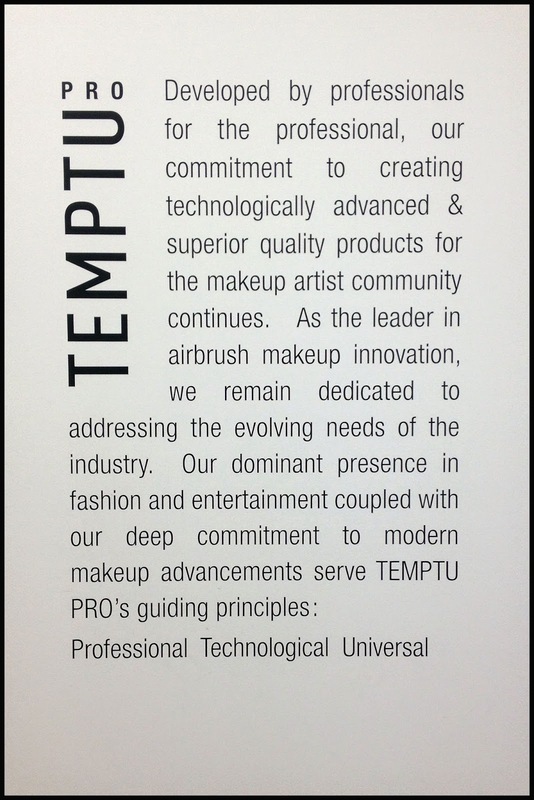 1996: TEMPTU launches professional airbrush formulas Aqua™ and DURA™. 2000: TEMPTU PRO DURA™, makeup transforms Rebecca Romijin into X-Men’s bodaciously blue-bodied Mystique. 2002: TEMPTU goes hi-def with their ground-breaking silicone S/B™ formula and its unparalleled flawless finish. 2003: Key Makeup Artist Bernadette Mazur uses TEMPTU to create Nicole Kidman’s porcelain look in The Stepford Wives. 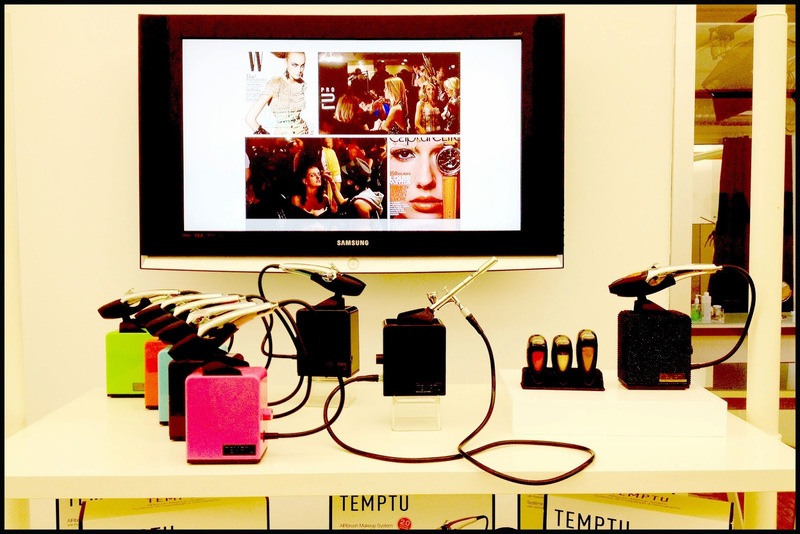 2009: TEMPTU introduces the AIRbrush Makeup System with AIRpod Technology, created for easy, at-home use and quickly becomes the beauty breakthrough of the 21st century. 2011: Makeup artist, Will Lemon III and the TEMPTU artistry team turn Lady Gaga into the "living dead" for her Born This Way video. Non pensavo esistesse da cosi tanto tempo...io l ho conosciuto grazie a voi e ai vostri lavori!!! Grazie a questo post ho scoperto qualcosa in piu'! Temptu is indeed a great place for Airbrush makeup. I always visit that place to purchase my makeup stuffs. They've great design store indeed. Thanks. Penso che il marchio Temptu è il migliore di sempre,... ho sempre voluto visitarlo per acquistare tutti quei trucchi straordinari!! Do not really know this brand ! Thanks for making me discover something so unique ! Thanks for making me discover something so unique !